Knack 2 (game, 2017). An action-platform video game by Sony Interactive Entertainment Inc. Developed by Ardi Studio. Official Trailer. Knack 2 is an action-platform video game by Sony Interactive Entertainment Inc., developed by Ardi Studio. Knack 2 - PlayStation Experience 2016 Trailer | PS4. In Knack II, the player controls the eponymous character Knack. Knack's abilities include punching, kicking, changing size, and deflecting projectiles using a shield. The game features a skill tree system where players can upgrade Knack's abilities by collecting Relic Energy found in levels. There are treasure chests throughout the game that dispense a Relic or a Crystal Part to further upgrade Knack. The game can also be played cooperatively. Knack II introduces offline multiplayer, allowing an extra player to join and leave the main story at their leisure. This accessibility of Knack II allows people of varying ages to play and has been praised due to the couch cooperative play dynamic. Knack II also utilizes Quick-Time Events during cutscenes. There are puzzles that require the player to manipulate the world and Knack's abilities to progress. Knack II also introduces the teleporter, allowing players to teleport between pads within their respective levels. 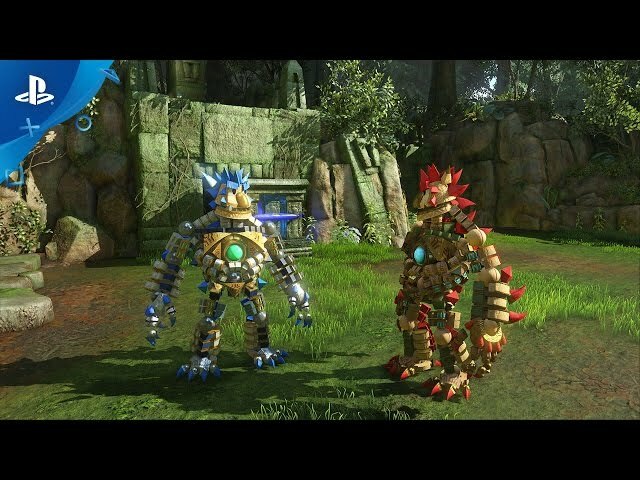 As the player progresses in the game, Knack acquires special abilities for Knack that also alter his appearance. These in-story abilities are Iron, Ice, and Stealth. 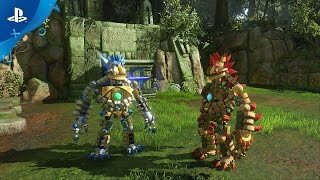 The other special abilities that Knack can use are unlocked through the use of upgrading Knack with Knack parts, Relics, and Crystal Parts. Knack II is an action-platformer game in which players control eponymous character Knack. Knack can punch, kick, change size, deflect projectiles using a shield, and has other combat abilities. It features a skill tree system where players can upgrade Knack's abilities by collecting Relic Energy found in levels. The game can be played cooperatively as well. Knack 2 was scheduled to be released by Sony Interactive Entertainment Inc. on September 5, 2017, on September 6, 2017, on September 28, 2017 and on February 27, 2018. This video game is available for the following platforms: PlayStation 4.